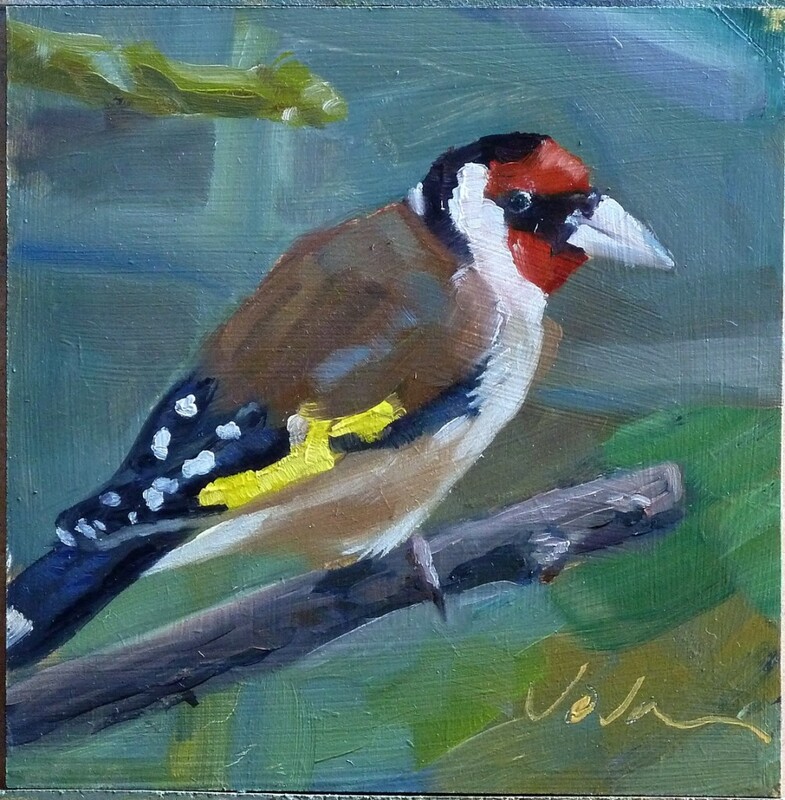 "Goldfinch" oil on Gesso primed Board, 6" x 6"
Every now and then we get a visit from these lovely little birds in our garden. Their markings and colours make them immediately recognisable. I really enjoyed painting this little beauty.